Wai’alae Dental Care provides full services in general and cosmetic dentistry. Focusing on providing high-quality work with a personalized dental care, and specializing in cosmetic dentistry, dental implants, and mercury-free dentistry. It seems unnecessary to explain the importance of choosing the right Hawaii cosmetic dentist to perform your cosmetic dental surgery. However, it cannot be stressed enough the damage that can be done to your teeth and face if you do not choose a cosmetic surgeon who is both professional and experienced. If you are unsure of how to go about deciphering whether a cosmetic professional is right for you or not, read on and learn more. First, decide what cosmetic procedure you want done. There are all kinds of procedures out there that are available to you. You can have teeth whitening, alignment, dental implants, or even dentures. Knowing what kind of procedure you will undertake will be the first step in narrowing down what professional Honolulu cosmetic dentists to look at. Talk to your primary dental physician about the risks and undertakings of the procedure(s) you have in mind first. Secondly, talk to your family and local physicians about where to find the best dental technician to perform your procedure. During this time you will also need to discuss the risks and costs of the procedure. Be sure to look into several options available to you before making a decision or signing a contract. Be sure that the professional you are looking into to perform the procedure is qualified and has multiple credentials. Ask for references or recommendations from doctors, specialists, or people you may know before deciding. Once you’ve chosen a specialist that is both qualified and experienced, make sure to see them several times before undergoing the procedure. Get to know the person that will be operating on your mouth ahead of time. This way you will get a feel for how they work and handle their patients. If you decide that this isn’t the cosmetic dentist you want to work with than there is still time to back out. Additionally, going to see him or her for a few checkups beforehand will help you know how up-to-date they are with equipment and treatment. This may also help you make your decision as to whether or not to pursue your procedure further. Make sure that before you go into having cosmetic dental surgery done that you are 100% happy. You want to step into the new you with confidence that you put your face in the right hands for the right price. 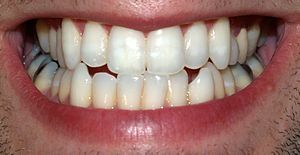 This is your smile and it should be as beautiful as it can be, so make sure to do the appropriate research before putting your teeth into the hands of a professional.